When did we last talk? Time goes fast when yeh’ve lived eighty years and more. 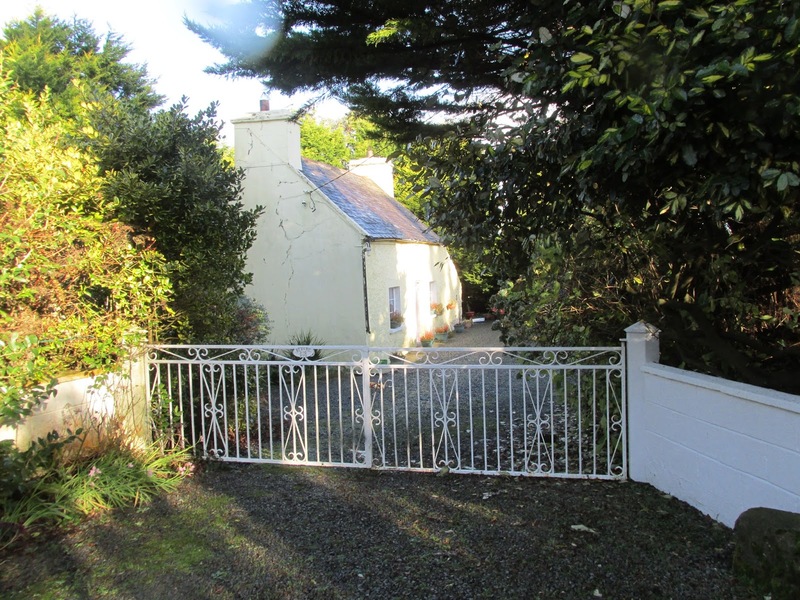 My health is good, buíochas le Dia, and I get by well enough in me old cottage in Knockskagh, with a bit of help from me grandson Michael, or Mick as he's known hereabouts. It’s been a year now since Maura Donovan settled into old Mick Sullivan’s cottage up the lane. Mick and me, we’d been neighbors a good many years, though I’d come here as a bride and raised my children here but Mick never married. I was a friend to Maura’s grandmother, Nora Sullivan that was, before she married James Donovan. But he passed away and she decided to try her luck in Boston. She never returned, but she made sure to send the odd letter now and then, to tell me what was happening with her, and I'd be sure to write back to her. Maura didn’t have an easy life growin’ up—when she was young her father died, her mother left. It was Nora who raised Maura, with too little money and too little time what with working more than one job. But in the end Nora did the best thing she could think of to do, and fixed it with Mick Sullivan, who had no children nor even any nieces or nephews to leave anything to, that Maura would get his house and his pub in Leap, so she’d have a place to live and a way to support herself. Maura arrived near a year ago, and she’s settled in well. She took her time getting’ to know the place—and decidin’ whether she wanted to stay, I’d guess. But now she’s brought the music back to the pub, that Old Mick let go when he grew older. She’s made some friends, and she’s kind enough to keep me company now and then as well. She’s a good girl. Me grandson Mick Nolan is a good man, but he’s had a hard life as well, in a different way. He’s had some of his own problems, and he can’t seem to figger out how to find his way again. It’s past time he had a family of his own, but he’s not seeing anyone these days. Maura might suit him, fer she can stand up fer herself, and I know she might not have made it at the pub without him workin’ there, though she hasn’t got the sense to wonder why he’s stayed on, but that's another story. It’d makes me smile to see the two of them dance around each other—except it’s a bit sad as well that they find it so hard to reach out. But if there’s anything I’ve learned in me own long life, it’s to stay away from meddlin’ in the lives of other people, no matter how much yeh care for them. Those two will just have to figure things out fer themselves. I only hope I’ll be around to see it. GIVEAWAY: For the holiday season we here are giving away an assortment of gifts, including books. 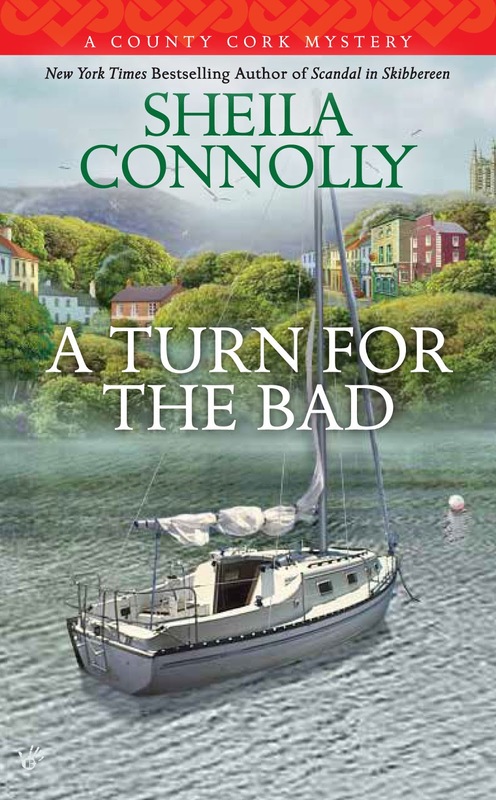 You can have your choice of a copy of A Turn for the Bad, the fourth County Cork Mystery, or (if you can wait!) an early copy of Cruel Winter, the fifth book, which will be released in March 2017. And Bridget’s after sendin’ me to West Cork to find something special there to add to the prize! Leave a comment by Monday (I know you may be having a busy weekend!). It doesn't have to be about Ireland unless you like. We'll choose a winner! 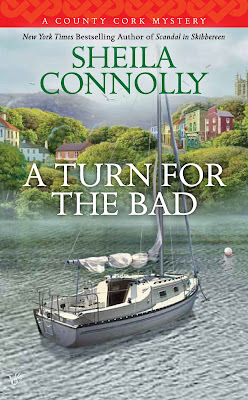 I have read the first two Cork County mysteries and enjoyed them very much. I hope every one had a great Thanksgiving. I have some shopping do to today but thankfully, I don't have to deal with the mad house of early "Black Friday!" I have been to Ireland twice and found my visits memorable. I would love to go again. I spent last night with all my boys - plus other family - for the first time in 17 years. I'm so thankful!! The closest I have been to Ireland is England, but I would love to visit! I visited Ireland 16 years ago & would love to go again. Thanks for the giveaway. What a gorgeous picture. I want to go there. Thanks for the giveaway. Ireland is on my bucket list! I really enjoy Bridget in the books, thanks for the extra piece from here! Thanks for the chance to win! My grandfather was born in Ireland. Would love to go back. Thank you for this chance. Katieh(at)mvdsl(dot)com Be well. I love mysteries set in Ireland. Thanks for the contest. I have always wanted to go to Ireland. Thanks for the chsnce to read the book. My husband is Irish so I am drawn to visiting there and reading books with an Irish theme. I've been following this series and love it. wait for it to come out. I've always wanted to visit Ireland, it sounds so beautiful. This is a new series to me. Thank you for the opportunity. 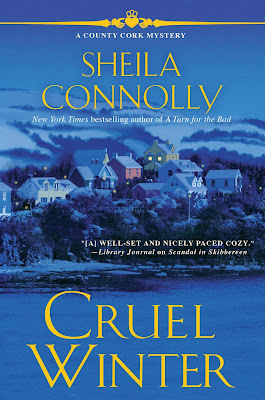 I haven't read the Cork County series yet, but it's on my TBR list. Thanks for the great giveaway. thank you for the chance. would love to get Cruel Winter. Ireland is one of those green dreams. Always enjoy stories in the mystic isles. I almost got to see Ireland, but we ran short of time. Soon, I hope. I loved seeing England and Scotland, two very different places, but it was great to see all of the history. New series for me, but it sounds like it's right up my alley.